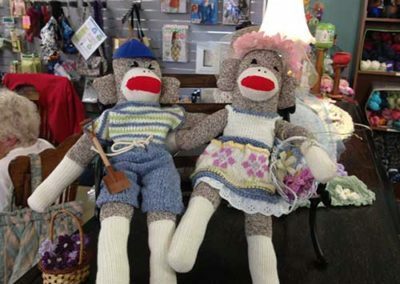 The friendly yarn shop serving East San Diego County and beyond since 2007. Join our mailing list and receive coupon good for 10% on your next visit. 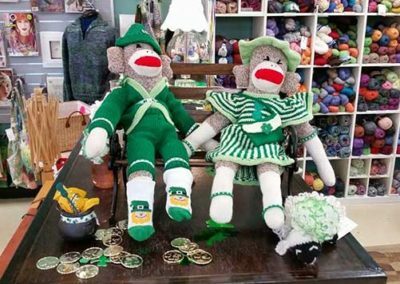 At Yarn & Thread Expressions you will find a friendly community of fiber enthusiasts who love getting together to stitch, socialize and learn. 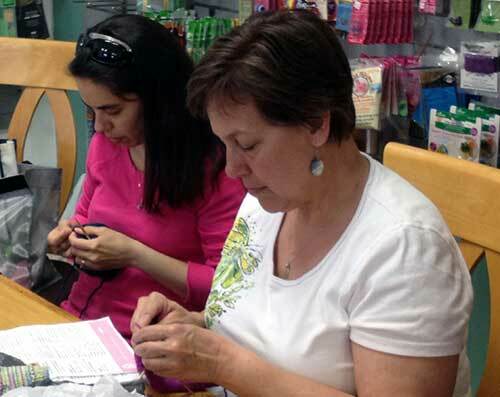 We offer many ways to improve your skill, learn a new skill or just come in and hang out with other needle-crafters. Please be sure to check out our workshops and classes. All skill levels are welcome. Our experienced and knowledgeable staff is always available to answer your questions so, if you get stuck on a tricky project, bring it by and we will try to answer your questions. 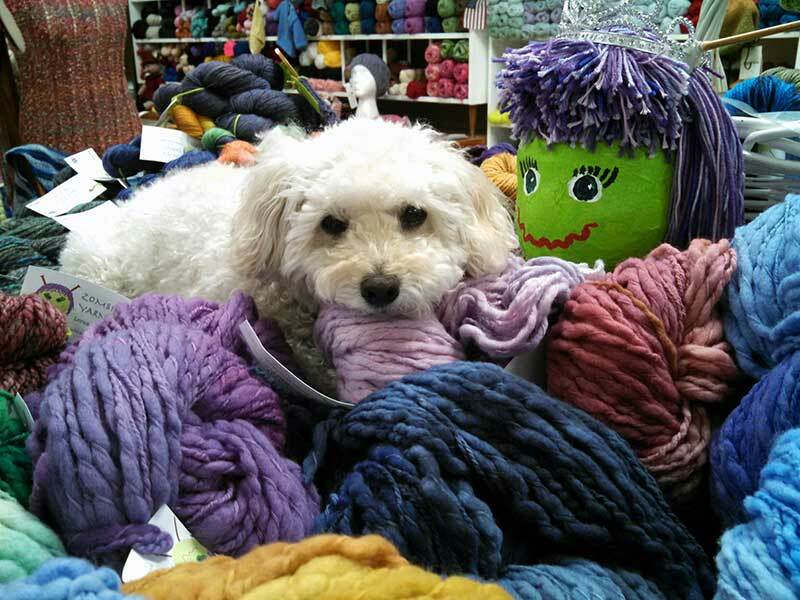 We love participating in community events like yarn-bombings, yarn crawls and the San Diego County Fair. Be sure to stop by our shop or website frequently so you don’t miss any of the fun. 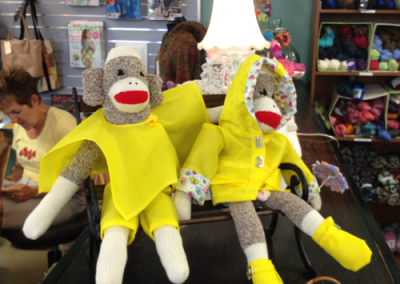 And, don’t forget to say hello to our official greeter and shop mascot, Squeaky, when you come by. You can usually find her sleeping on the checkout counter. The recent women’s marches and their symbolic knitted hats are not the first, or last, time women have used knitting and other needle crafts as a means of political participation. In the USA, there is a long history of women taking up their needles to further a political agenda. Read our most recent post to learn more! 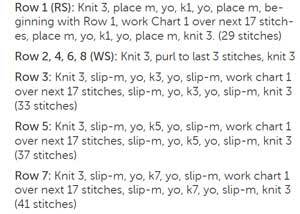 Did you know that you can come in for a knitting or crochet class any time during regular business hours? That’s right! Instructors are available daily to help you with your project and teach you new skills. You work at your own pace and skill level and we meet you where you are! Our experienced instructors are also happy to help you pick out a project that is appropriate to your skill level that will take you to the next level so you can continue to learn. 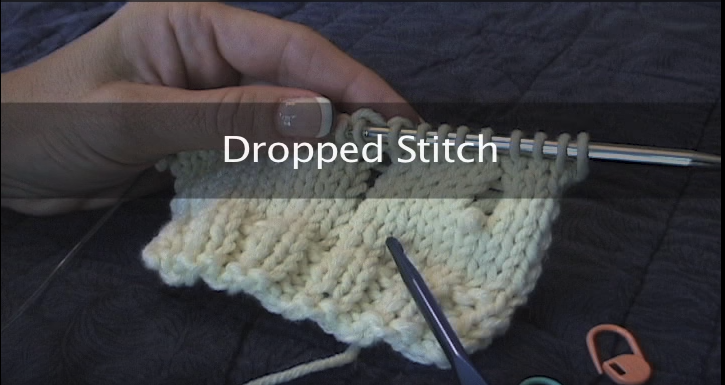 Does your son or daughter want to learn to knit or crochet? We are happy to teach them. 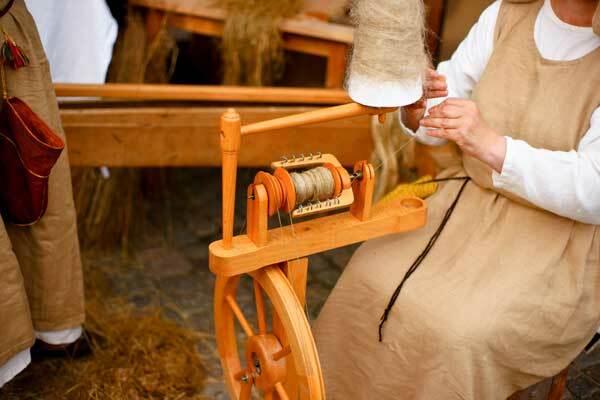 For just $20 you will receive up to two hours of help and instruction – and you’ll meet some friendly fiber enthusiasts who are also looking to improve their skills.